Comprising a Stately Home, Hotel, Organic Farm, two Golf Courses, Motor Circuit, Racecourse, Leisure Club, Spa, Private Dining Club, Memberships, Luxury Lodge, Wedding location and an Aerodrome, the Goodwood Estate Company is a luxury experience brand specialising in hospitality and sporting events. It is best known for its world-famous events, the Festival of Speed, Goodwood Revival and Qatar Goodwood Festival. Although the Goodwood Estate Company was founded in 1955, its history dates all the way back to 1697 when the first Duke of Richmond made Goodwood his country retreat. We can now automatically assign email signatures to users’ accounts. When a company has over 300 years of history, it’s important to consistently promote the brand across multiple platforms to maintain the image and reputation it has carefully built. Email is no exception when it comes to promoting a brand, which is why many companies use email signatures. However, for a company like The Goodwood Estate Company, trying to create and change email signatures manually for a large number of users is not an easy or quick task. 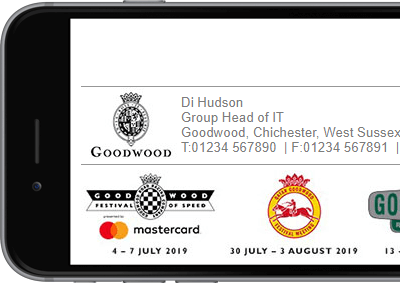 Di Hudson and the IT team at Goodwood Estate needed to find a solution that would allow them to centrally control all users’ email signatures, ensuring a consistent brand image was maintained and every user had the correct contact information. 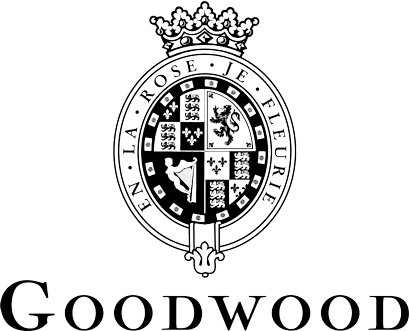 It wasn’t long until The Goodwood Estate Company had their branded email signatures up and running. Di Hudson and her team no longer had to manually create an email signature every time a new employee started, this was all automatically done by Signature Manager Exchange Edition.